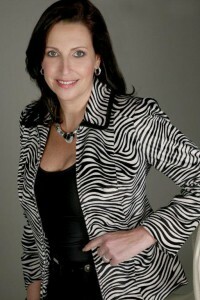 Beth-Ann Galvin, with her unique expertise in business communication skills, as a motivational speaker, brings to her audiences and clients in South Africa and Internationally the transformative power of enhanced interpersonal skills. Audiences find themselves enthralled by the subtlety and power of these conference presentations and training workshops. They all know that for 28 years, Beth, as a successful entrepreneur, has not only talked-the-talk, but walked-the-walk through the turbulence and challenges of the local and global economy. As Managing Director of Business Communication Skills Holdings, a recognized leader in providing skills enhancement tactics in Sales Skills, Business Presentation, Service Excellence and Personal Branding training and courses, Beth brings rock solid experience to receptive businesses. The value of her message is proven by her team’s contributions to so many executives in companies such as Anglo American, Standard Bank, AECI, Nedbank and Barloworld Logistics, to name a few from South Africa’s top 200 companies, readily testify to the results they have garnered through their association with BCS. In hearing her authentic and dynamic conference presentations and motivational talks, organisations find themselves looking at their company’s selling skills, personal branding, business presentations and customer service with fresh eyes, excited to implement a new perspective. Her audiences leave energized and inspired, having learnt new ‘winner’ practices and how to apply these immediately to achieve personal and business goals. Who wouldn’t be enthusiastic with the opportunity to infuse and transform current business practices and business skills with new opportunities for growth and profitability? Beth-Ann is an outstanding professional who delivers every time. She goes the extra mile and cares about results at a deep level, helping people, often those who have not done previous presentations – to simply shine! It was such a pleasure to listen to your presentation last week at the Marketing Indaba. Thank you for all the valuable tips and information and in the beautiful and effective way in which you communicated your info! You truly are a great example of that what you ‘teach’! Working with Beth Ann is such a pleasure; she always demonstrates great professionalism and willingness to go the extra mile. Participants can’t get enough of her either, they find her sessions very practical, engaging and immediately applicable. I can’t recommend her highly enough.